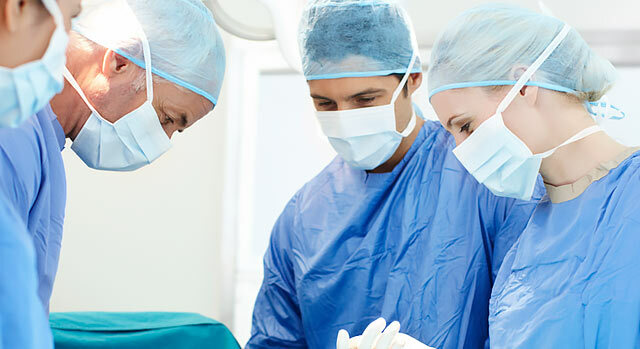 The Surgery Department at Inland Valley Medical Center includes dedicated teams of exceptional surgeons who work in technologically advanced operating rooms, pre-op areas, an endoscopy center and recovery areas. In-house anesthesia services include 24-hour acute pain management for our patients. Minimally invasive surgery usually results in quicker healing and less scarring. Surgeons make small pencil-sized holes in the body and insert small video cameras to provide magnified views and help them guide small surgical instruments through the body to the surgery site, where the surgery is completed. Because the procedure is performed through the small incisions, patients often experience smaller scars and quicker recoveries. If you need a referral to a physician at Inland Valley Medical Center, call our free physician referral service at 800-879-1020.